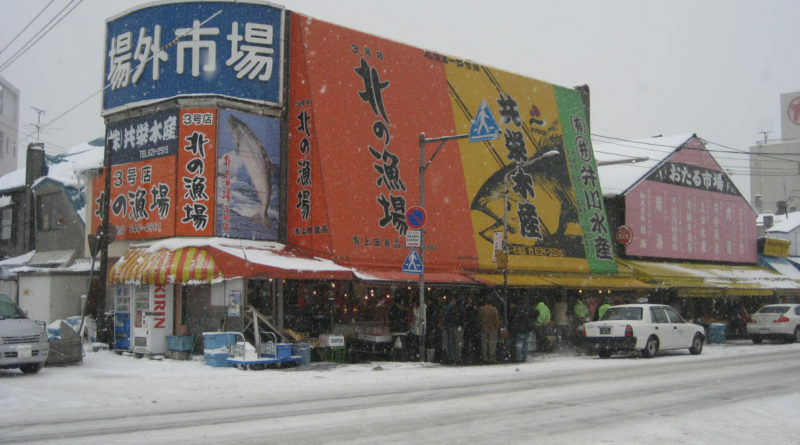 Sapporo's top fresh seafood market is not where you think! 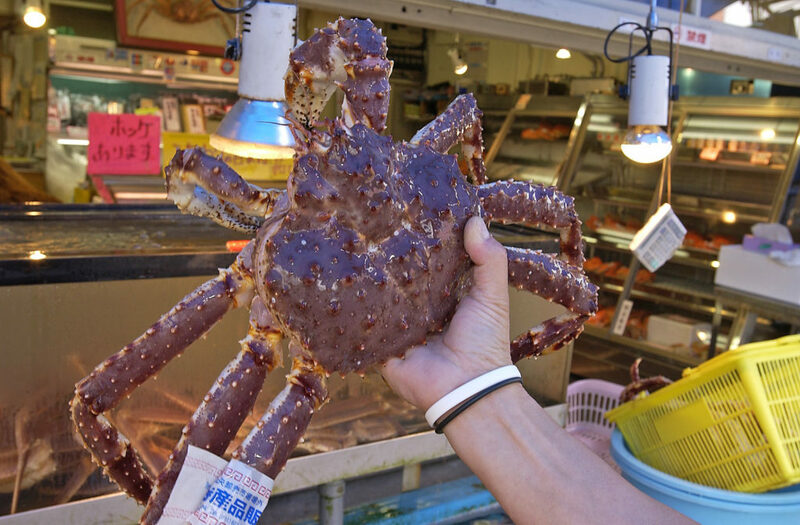 Red King crab! Many of you may be familiar with Sapporo’s Nijo Ichiba, located near Tanuki koji and the famous beer pub “Moon & Sun Brewing”. But have you heard of The Central Wholesale Market?? Ranked number 47 on Trip Advisor’s must go tourist destinations in Sapporo. 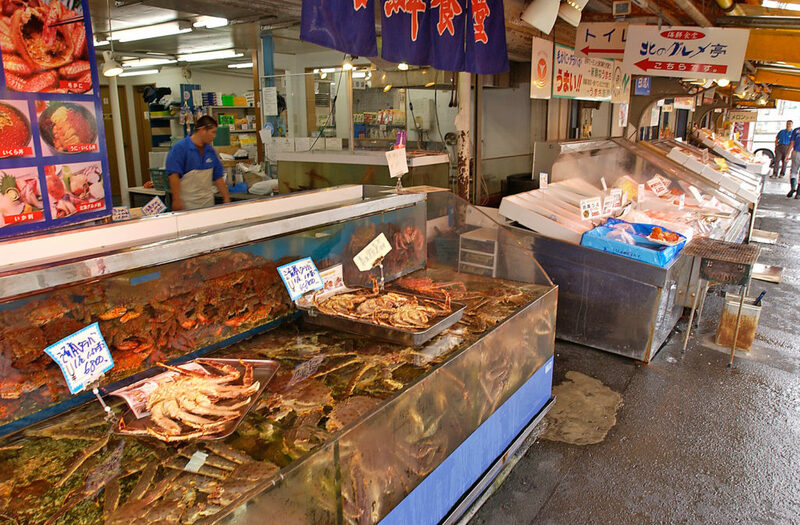 There are some sixty stores in the market: fresh and dried fish, fresh fruits and a few great eateries. Of course, these restaurants use the freshest produce from the market. Open from 6 am to 5 pm every day, it’s a great place to take the whole family or just yourself. Getting to the market is not tricky at all. If you’re using JR, you can take a train to Soen station. From there it’s just a short walk. If you’re taking the subway, take the orange (Tozai) line to Nijuyonken. Again from there it’s just a short walk. So, now that I’ve told you how to get there, now you must be wondering what’s best to try! So what is this month’s “shun” seasonal fare? There’s a few so take note: Monkfish, smelt, splendid alfonso (soooo good!) red king crab, sweet shrimp, and so much more! A tip. Try always to eat what’s in season. What’s not in season is usually imported from overseas. Be sure to let us know if you went, and be sure to tag us in any pictures! Also, would you like the Japanese names? In the same order as above: anko, wakasagi, kinmedai, tarabagani, and amaebi!Picture courtesy of Sapporo Picture library. ← Let Travel Hokkaido guide you on your next trip.